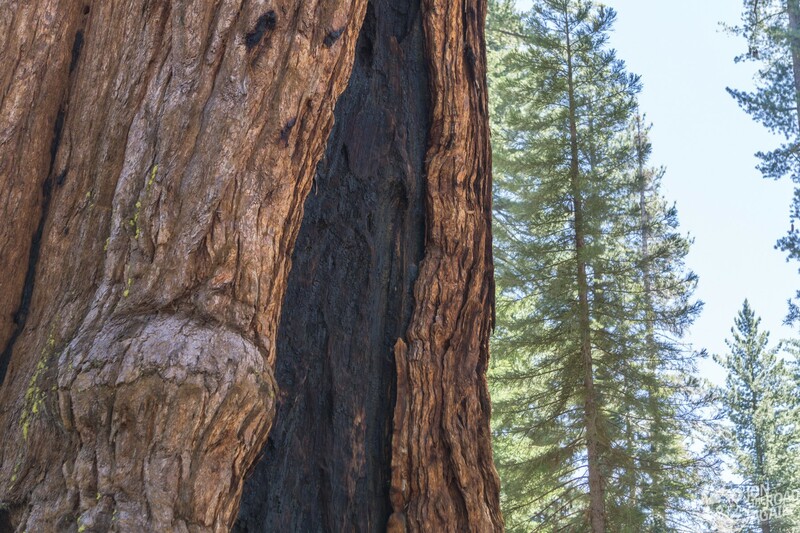 Day two in Yosemite, we’re off to visit the towering trees of Mariposa Grove. 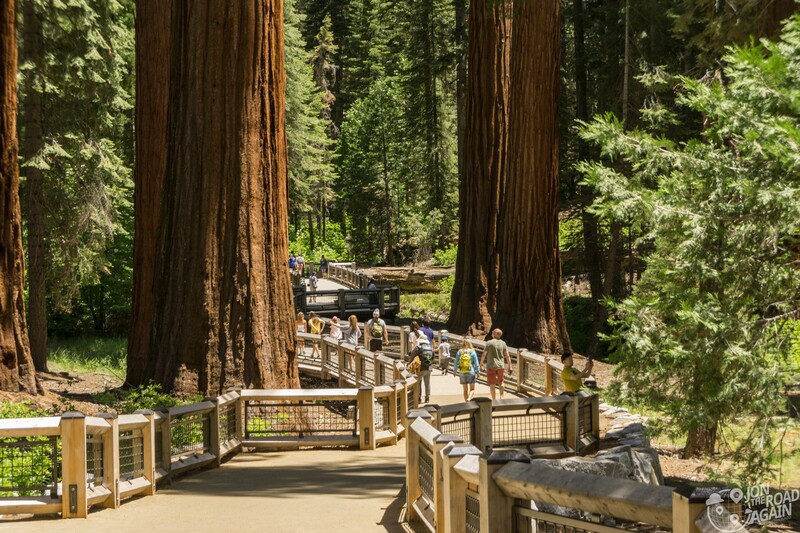 Just opened a few days prior to our visit, Mariposa Grove is fresh off a multi-year $40 million dollar restoration. Let’s walk and talk about this marvelous place. Previously, the path through the grove was asphalt. Yuck. They’ve ripped it up and replaced with this elevated platform, designed to allow the earth to reclaim those spots previously covered by asphalt. 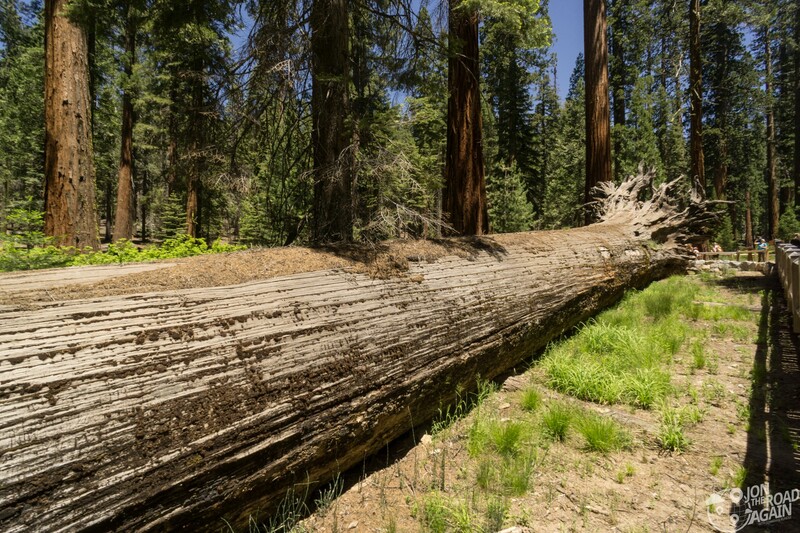 The first tree of note is actually one that fell more than 300 years ago. The “Fallen Monarch” has been hosting visitors to the grove since the very beginning. Why hasn’t this tree decayed into a mound of sawdust? 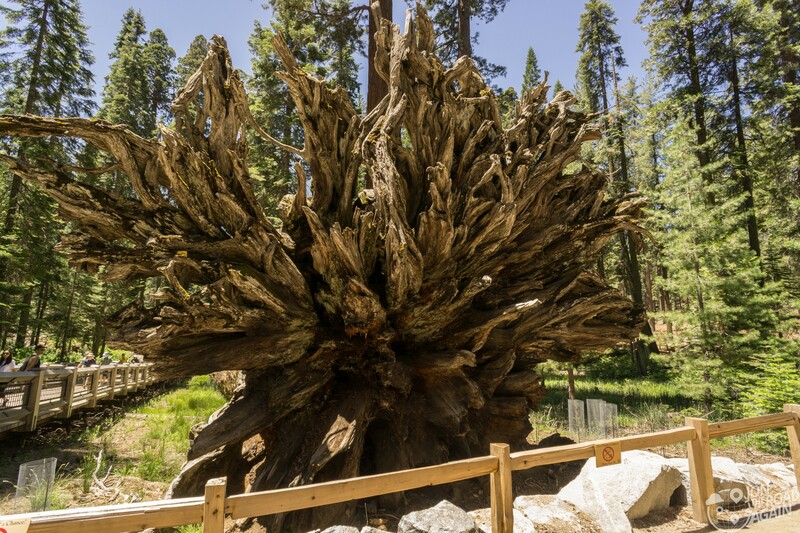 The Fallen Monarch is old growth sequoia; the wood resists decay and looks about the same as it did when it fell. An early photo shows a stagecoach on top of the trunk of the tree. Those early 20th centarians were wildin’ out here! Tread lightly, assholes! 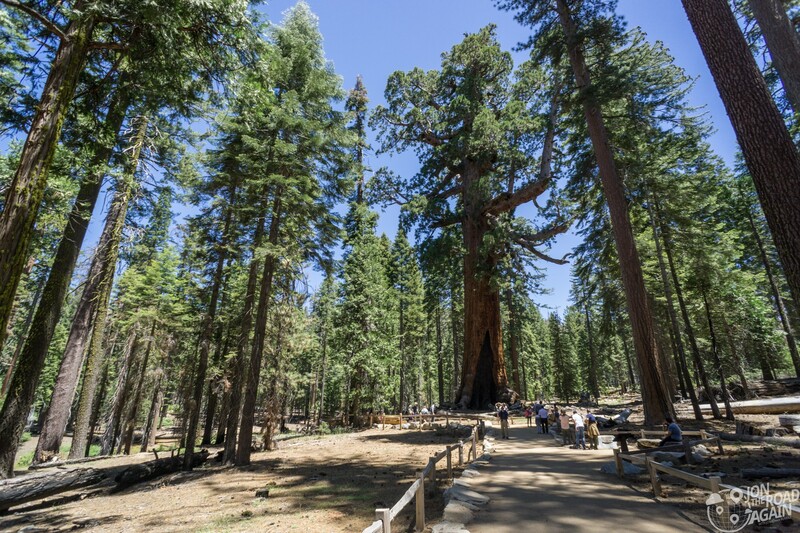 Speaking of the very beginning, did you know the National Park system as we know it got it’s start right here in Mariposa Grove? It’s true! Unfortunately the state wasn’t exactly a great steward for the park. In 1903, President Theodore Roosevelt camped in the park with naturalist John Muir for three days. On that trip, Muir persuaded Roosevelt to remove control of the nearby valley and grove from California and return it to the federal government. Boy, these trees are tall. 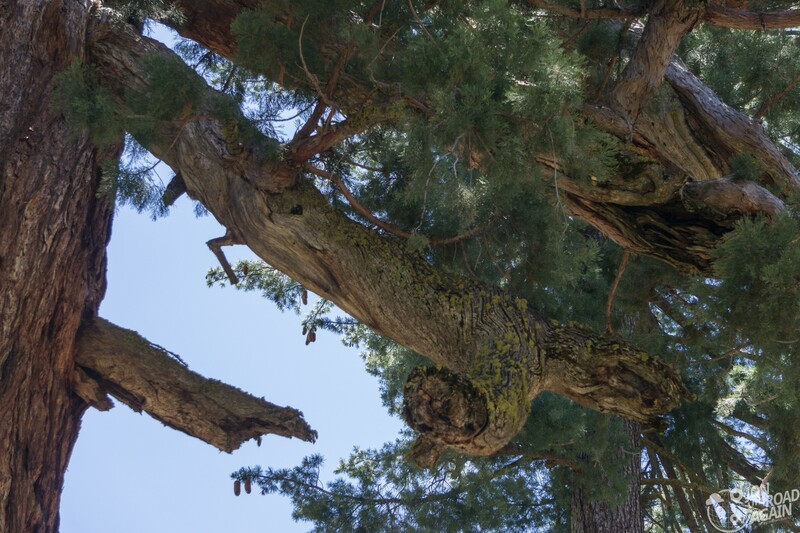 Continuing on toward the big kahuna, we get our first look at “Grizzly Giant.” This monster is also the oldest tree in Mariposa Grove. 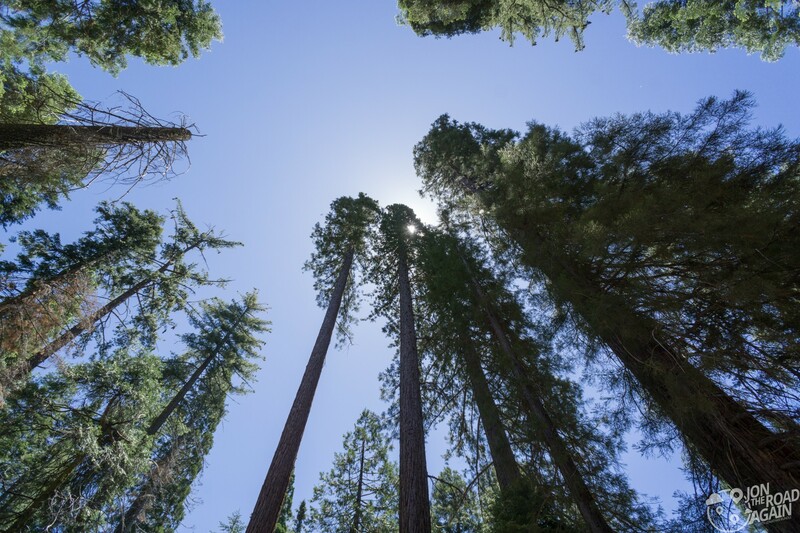 Grizzly Giant is 209 feet tall and has a volume of 34,005 cubic feet, good enough to be the 25th largest giant sequoia living today. 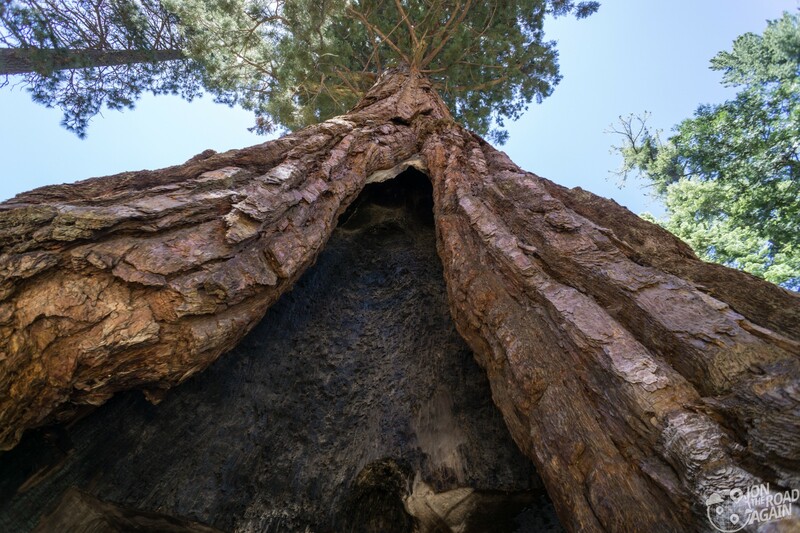 As big as it is, it is still only the second largest tree in the grove. 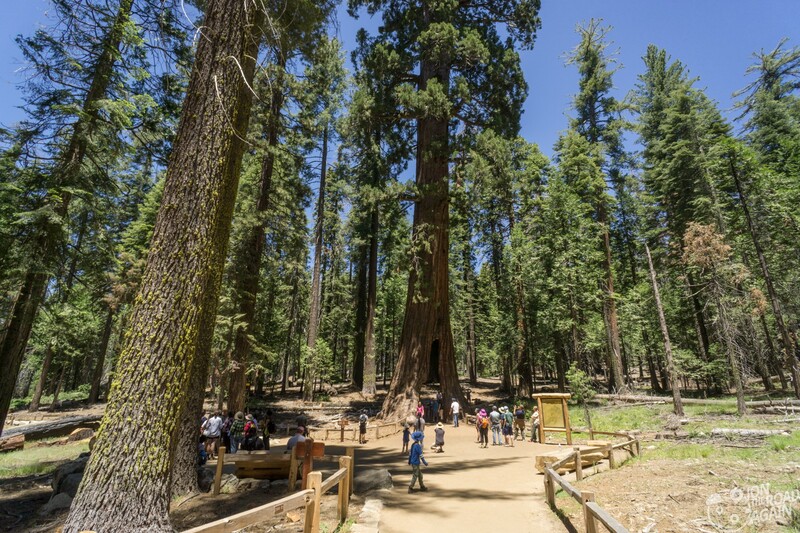 The largest is the Washington Tree with a volume of nearly 36,000 cubic feet. That would make a lot of lumber; and unfortunately early visitors to this region did just that until Lincoln’s protection. 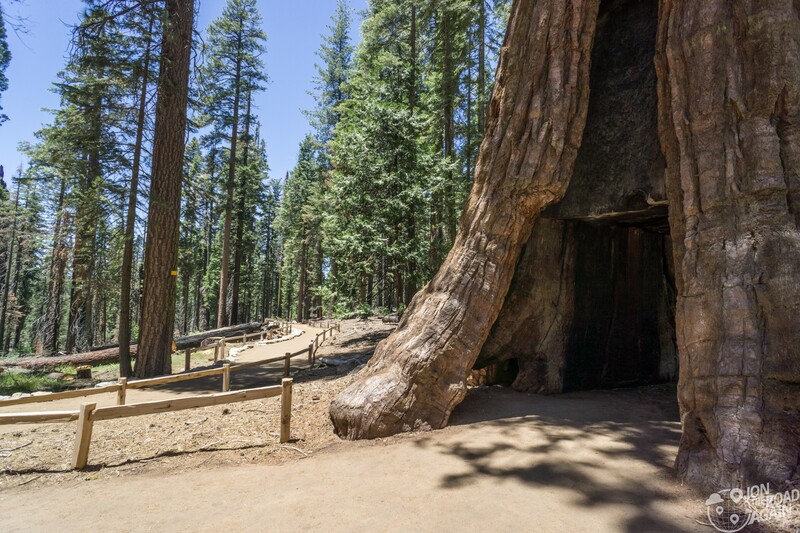 Cut in 1895 to allow coaches to pass through it (and as a marketing scheme to attract visitors to the grove), this is the only living Giant sequoia tree with a tunnel in it since the fall of Yosemite’s Wawona Tunnel Tree in 1969 and the fall of the Pioneer Cabin Tree in 2017. 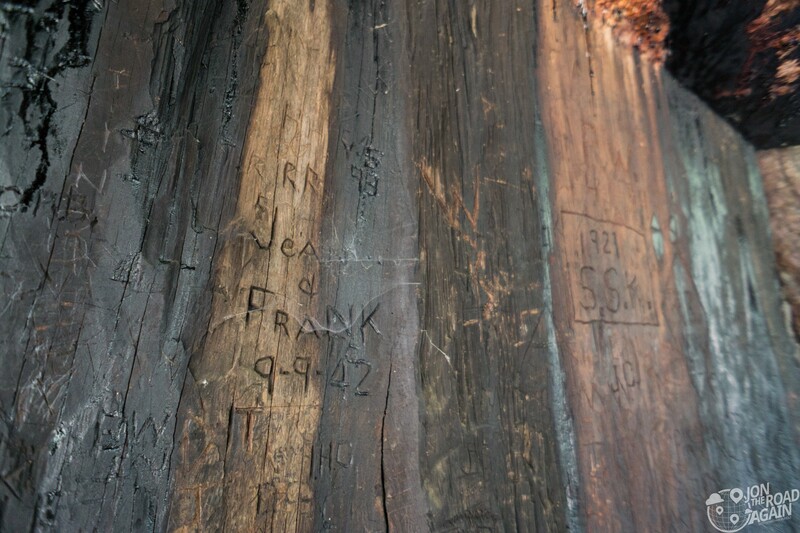 It’s still cool to walk through this ancient behemoth and look at all the graffiti from years past. Tread lightly, Jean and Frank! 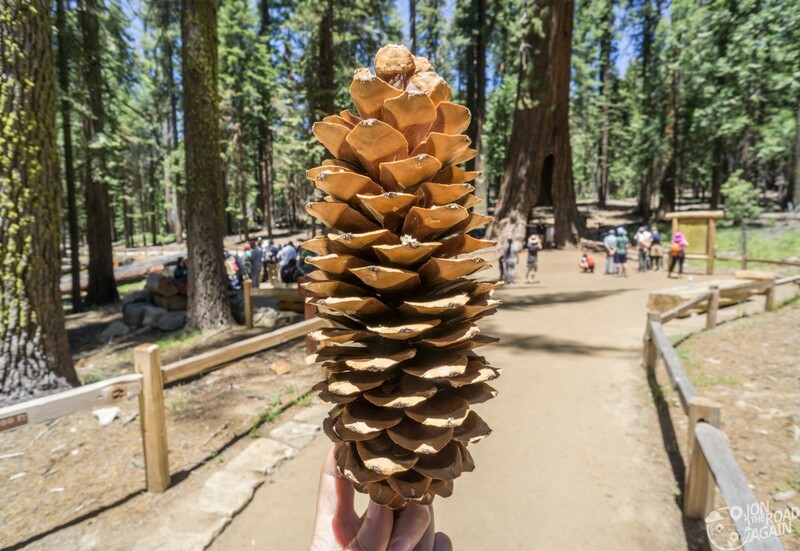 You might see a ton of people taking photos with these massive pine cones. Those ARE NOT from the sequoias. 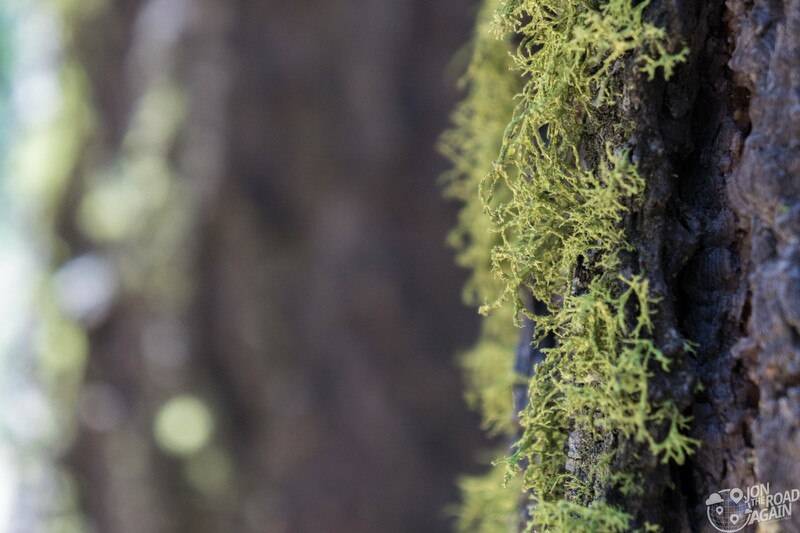 The sequoia creates cones that are small – smaller than the palm of your hand. The massive cone pictured below and covering my fingers in sap is from a Ponderosa Pine. Take only photos, leave only memories. If you see a tourist walking out with one of these in their hand, you have my permission to slap them. 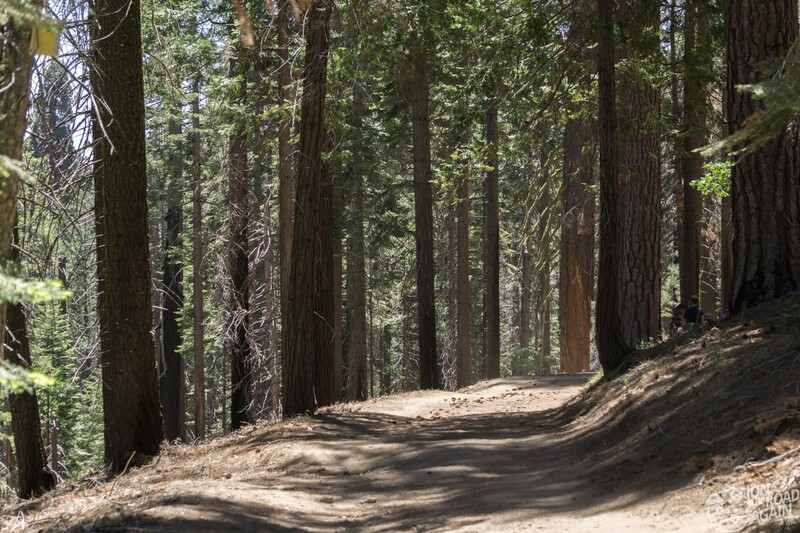 The walk back is on the Grizzly Giant Loop Trail. 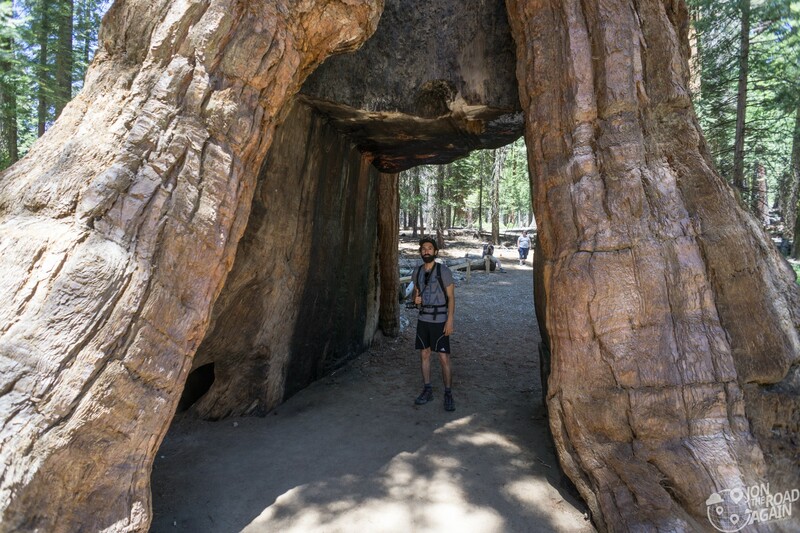 There is lots more to see in Mariposa Grove, but we’re two motorcycle guys here for only two days, so we’ve got to get cracking and see more of the park. 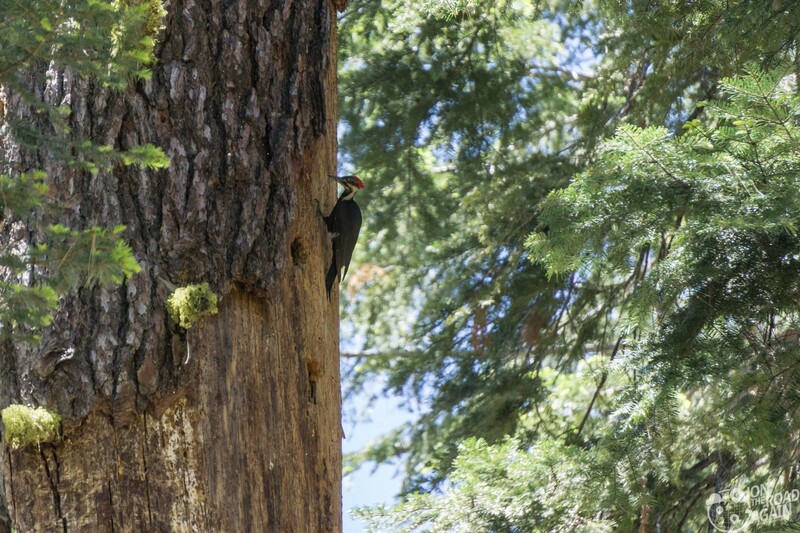 A woodpecker makes it’s home along the path. 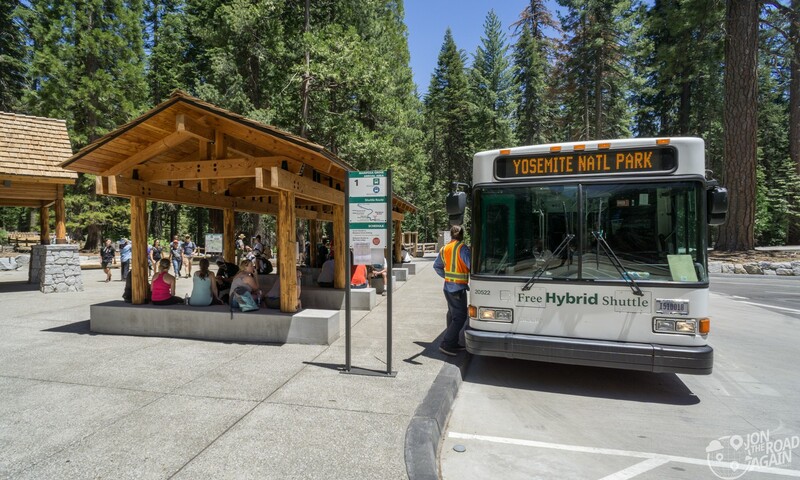 The restoration project moved the parking areas two miles away from Mariposa Grove. That means hopping on a shuttle bus to get back to your car (or motorcycle in our case). If you listen to any piece of advice I give you, make it this: arrive at Yosemite early in the day. We got a late start and like a couple of jerks on motorcycles, we skipped a bunch of the cagers (cars) sitting in traffic. This move saved us an hour or more at the incredibly busy Wawona (south) entrance. Get. Up. Early. Secondly, there are only so many parking spots at Mariposa Grove, getting there late could mean you’ll miss out (or wait a lot longer). Get. Up. Early. Really enjoyed the pics! 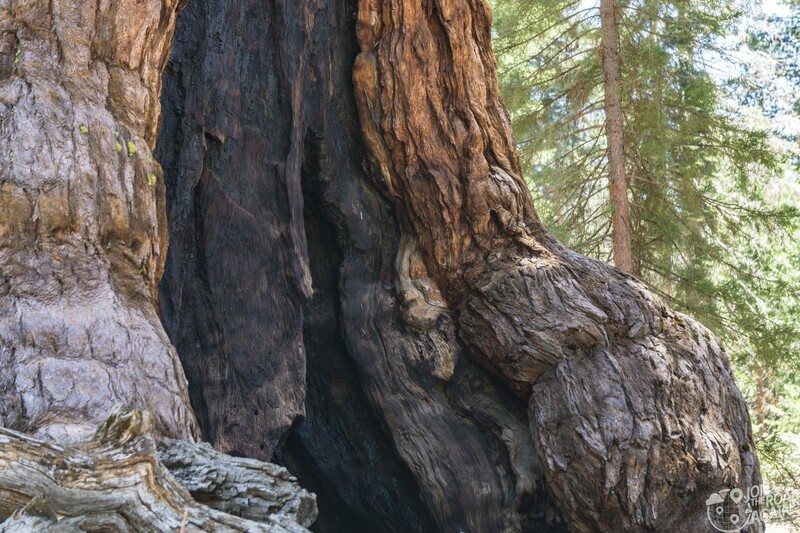 You know how intrigued I am with giant sequoias! I could stay there several days. You know I would be the guy you would have to slap for taking pine cones and seed pods!